New Phase Launching Late Spring 2019 | Register Your Interest Today. 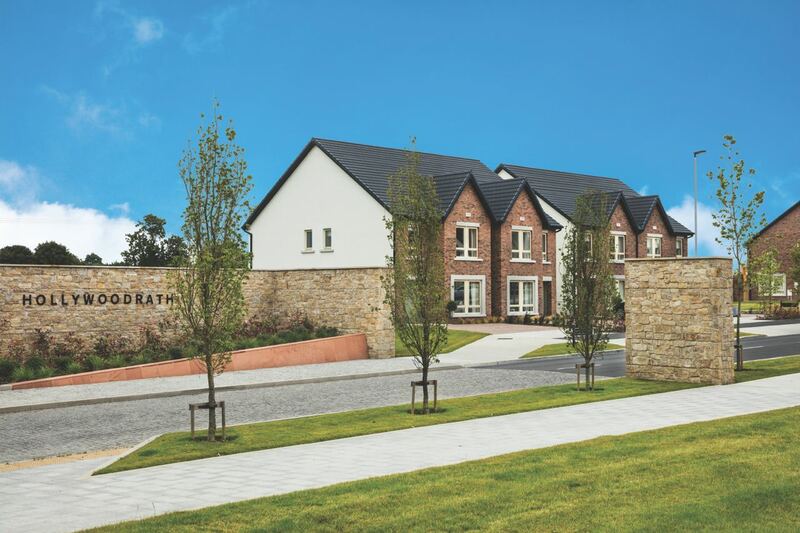 A progressive new homes development of contemporary, A rated 3, 4 and 5 bedroom semi-detached and detached homes located just 12 km from Dublin city. 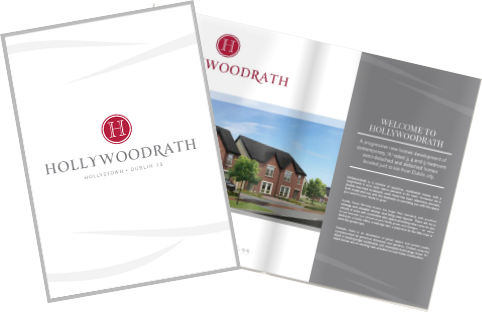 Hollywoodrath is a scheme of spacious, sustainable homes with a magnificent five acre open space parkland. Accessed via a double tree lined boulevard, each home has been attentively planned, both inside and out, with the emphasis on providing you with the space you need for your family to grow. Inside, these life-long homes are larger than standard, with practical storage and versatile kitchen and living area layouts. There will be a choice of units with convertible attic space providing extra room for you to use however you choose as your family grows and changes – an extra bedroom, a home office, a teenage den, a playroom for the little ones or even for the grown ups. 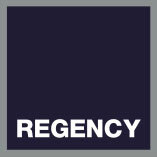 Outside, there is an abundance of green space and pocket parks, complemented by generous driveways and gardens. Crafted using the latest in leading edge sustainable and renewable technology, these A-rated homes are an exciting new evolution in new home construction. Some cookies are placed on your computer only for the duration of your visit to a website and these are called “session” cookies. These automaticaly expire when you close down your browser. There is another type of cookie known as “persistent”. These cookies remain on your device for a period of time. Third party cookies are set by a different organisation to the owner of the website you are visiting. For example, the website might use a third party analytics company who will set their own cookie to perform this service. The website you are visiting may also contain content embedded from, for example YouTube, Vimeo or Flickr, and these sites may set their own cookies. We do not controlhow these cookies are used and you should check the relevant third party’s website for more information.